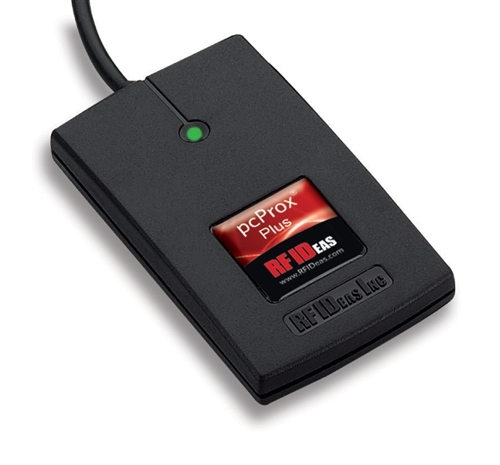 The pcProx Plus is a Dual frequency, multi-technology proximity and contactless card reader for identification and enrollment. It is a desktop reader that possesses the capabilities of reading both 125 kHz proximity cards and 13.56 MHz contactless cards. The pcProx Plus allows users to use their building access card or any 125 kHz or 13.56 MHz tags and/or labels for other forms of identification. The plug-n-play reader comes with flash memory, allowing the user to quickly configure the output to meet their needs. Below is the list of card types that the pcProx Plus reader currently supports.